CYCLONE Trevor is heading for the Northern Territory, where it is forecast to become a large, destructive system with winds up to 260km/h, heavy rainfall and a dangerous storm tide. It is expected to rapidly intensify to a category 3 cyclone in the next six to 12 hours and is likely to cross the Northern Territory coast on Saturday as a category 4 severe tropical cyclone. 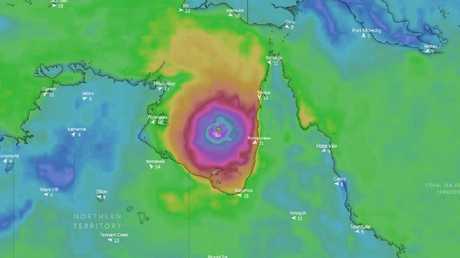 It is forecast to have an eye of the storm around 30km wide, which is the same size as the entire Cyclone Marcus that hit Darwin a year ago. 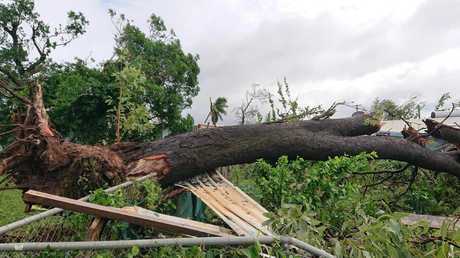 Police, Emergency Services personnel and local authorities have warned locals not to venture outside if you find yourself in the eye of the cyclone, saying "destructive winds from a different direction could resume at any time". But it could stall and move back towards Queensland next week. "It's a little to early to say how strong that system will be when it comes, but we are likely to see an increase in shower and storm activity for the southern part of Queensland," Ms Pattie said. She said any rains could be welcome news to farmers struggling with drought. "At this stage we aren't expecting any particularly significant rainfall totals, but that area is quite dry at the moment, I'm sure any rainfall will be welcome," Ms Pattie said. 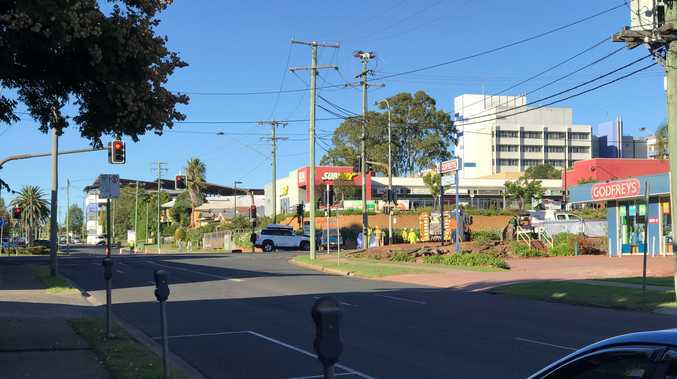 Trevor has uprooted trees, closed schools and roads and caused power outages with severe gusts and heavy rain since it made landfall in Queensland's north. 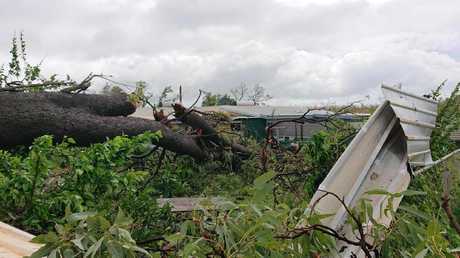 The Aurukun community is likely to be cleaning up on Thursday, after taking cover on Wednesday while Trevor passed on its way to the Gulf of Carpentaria. Trevor began ripping through the region late on Tuesday as a category three storm, dumping 300mm of rain and recording wind gusts of more than 133km/h. It left Queensland as a category one, but looks likely to power up again to a category 4 over the gulf over the weekend. Trevor left a trail of destruction through far north Queensland. 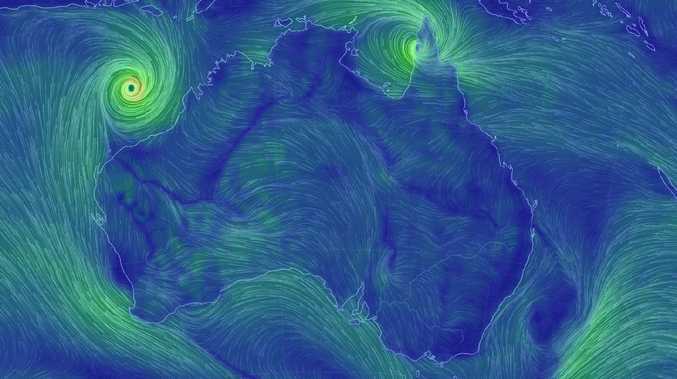 The tail of the storm is expected to bring flooding rains to parts of the Top End and possibly south-west Queensland. Gales are expected to extend across western parts of Cape York Peninsula on Thursday morning and impact areas between Cape York and Pormpuraaw, including Aurukun and Weipa as the cyclone moves offshore and re-intensifies. Destructive winds, with gusts in excess of 130km/h may develop between Weipa and Aurukun on Thursday. Gales may further extend south to Kowanyama on western Cape York Peninsula coast on Thursday night as the cyclone intensifies, and move to Burketown and Mornington Island later on Friday. As the cyclone intensifies, a storm tide is expected between Mapoon and Aurukun on Thursday morning. Large waves may produce minor flooding along the foreshore. A separate Severe Weather Warning is current for areas between Lockhart River and Cooktown on the eastern parts of the Cape York Peninsula District.